Below are some very technical numbers for your reading pleasure. Easy to understand, The year is the first number, the next number is the population of Transylvania, the the percents are as follows: Romanian, Hungarian, and German, the thing about this chart is that the Romanian population was never below 50% from 1850 onwards. 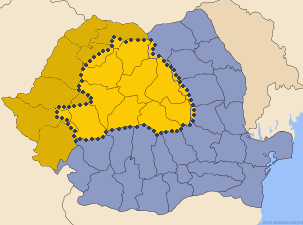 The map shows the outline of Transylvania. I found this interesting, in so far of the fact that there is a debate whenever I mention the value of the peoples of Transylvania.